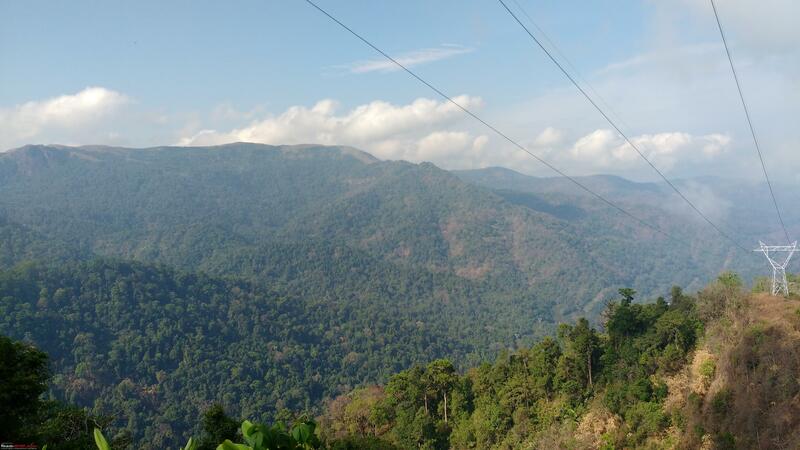 My home state Kerala offers wonderful opportunities to travel off the beaten track by public transport. This is a brief account of one such trip . 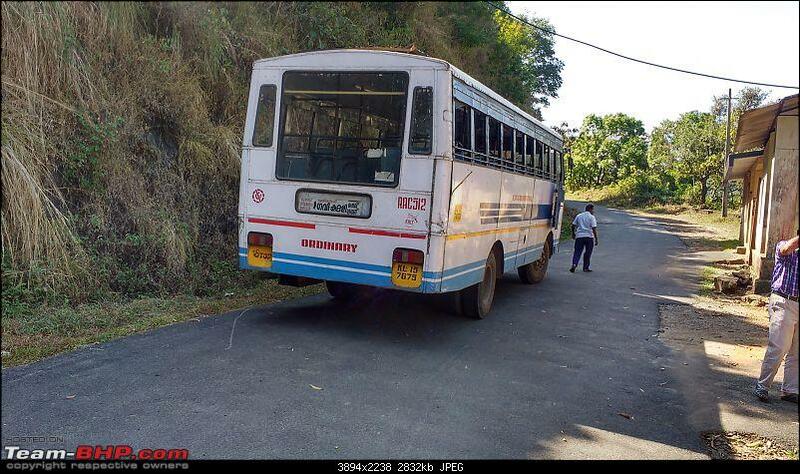 A six hour bus journey on a KSRTC ordinary scheduled bus service from Pathanamthiita to Kumily via Chittar, Angamoozhi, Moozhiyar, Kakki , Ananthodu ,Gavi and Vandiperiyar. Four hours of this is through thick forests on a narrow forest road, in pretty bad shape which passes through a number of hydro electric project sites. 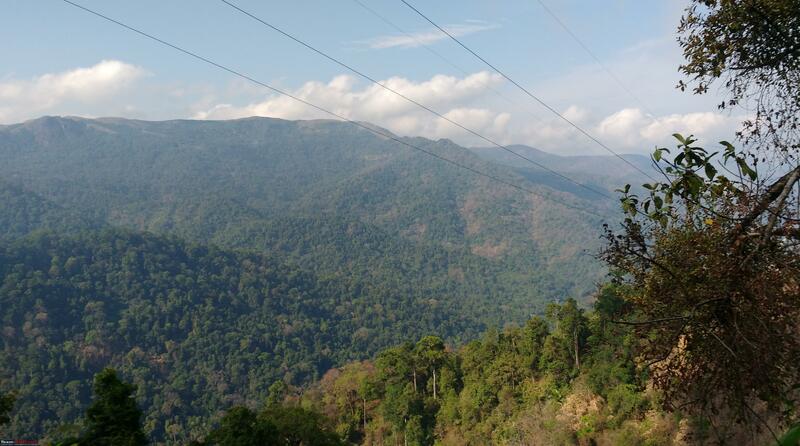 Where else can you have what amount to a "wonderful wildlife safari" for just Rs 137 which was the cost of the bus ticket end to end from Pathanamthitta to Kumily (near Thekkady). Before I proceed further, this journey has already been covered in Team-BHP earlier (28 Jan 2010) by member "Soccerfan". Indeed the bus service has been running for atleast ten years . I did this trip on a weekday in the first week of March 2017. There are two buses on this route. 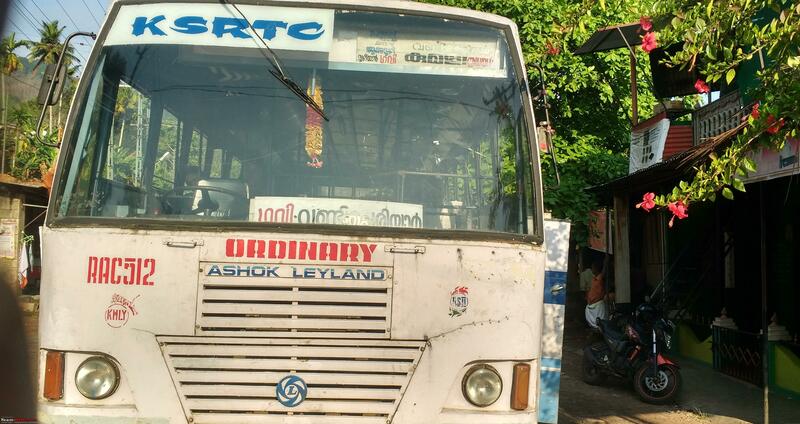 The bus operated by the KSRTC Pathanamthitta depot starts from the private bus station at 0630 every day, reaches Kumily at 1230 and returns back an hour later. Another bus of the Kumily depot is scheduled to operate at near identical timings in the opposite direction. However when I took this trip in early March, the bus of the Kumily depot was cancelled. Do not expect any luxuries. This is just a 30 seater scheduled ordinary bus service. 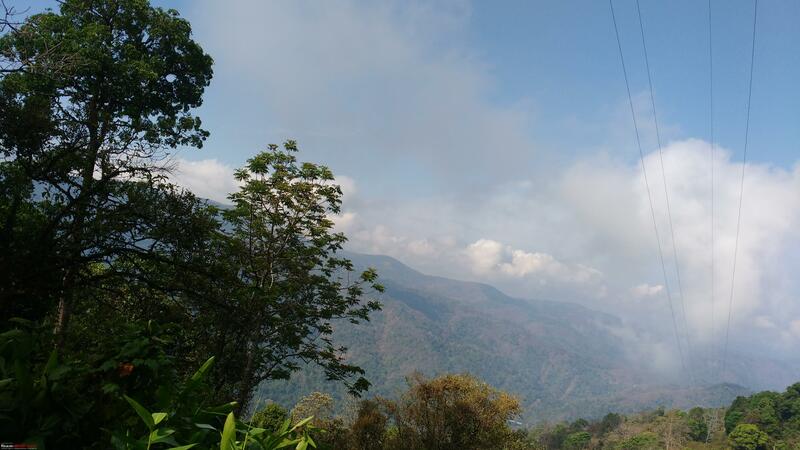 What it does offer you is the opportunity to travel through some very hard to access forest roads in Kerala passing through some wonderful scenery. In many parts there is no mobile coverage even of BSNL. Like the Kollam-Allapuzha State Water Transport Department boat service (which I have written about elsewhere) this is another such public transport "gem" not much publicized outside Kerala. 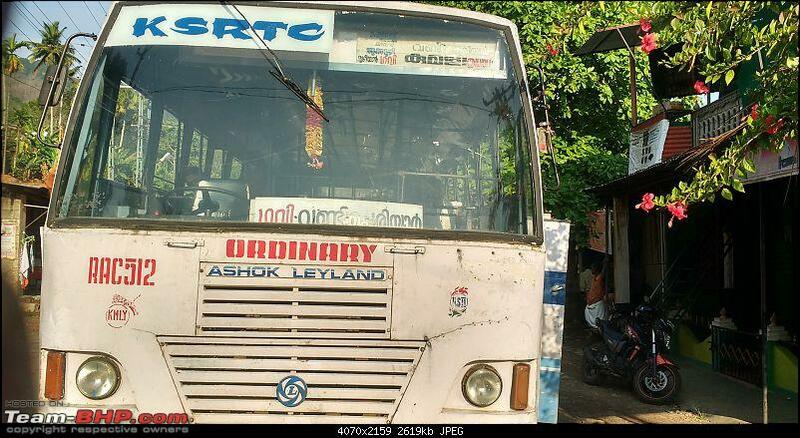 With Kerala SRTC reeling under financial difficulties, many unprofitable routes are being cut back. This trip may not be around much longer unless the route becomes profitable. And for the route to be profitable, you need more passengers to travel on this route. I have included a few pictures but the clarity of the pictures are not great as it was shot with my mobile (Moto G3) camera. Two of the pictures have been shot by the conductor of the bus I travelled in (Mr Ramesh of the Pathanamthitta depot) who had a higher resolution mobile phone camera and who has been generous enough to both share the same with me and to give permission to use this in Team-BHP. Last edited by Rehaan : 14th March 2017 at 15:31. 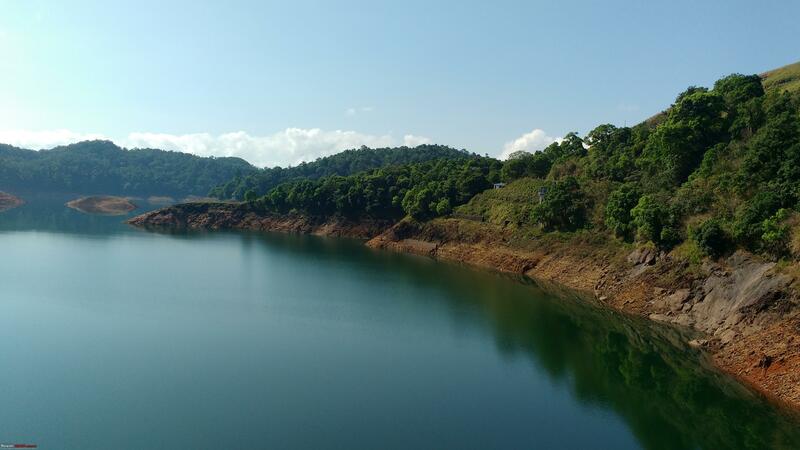 This trip has been planned from my end for a couple of years , however the need to stay overnight at either Kumily or Pathanamthitta (to do the journey in the morning hours) resulted in the trip getting postponed. Finally one month ago fellow Team BHP member "binaiks" messaged me saying the services are getting cancelled on many days due to the reported financial crunch of KSRTC and advised that the service from Pathanamthitta depot is now erratic. This helped make up my mind and it was decided that I will definitely do the trip in March on my next leave. 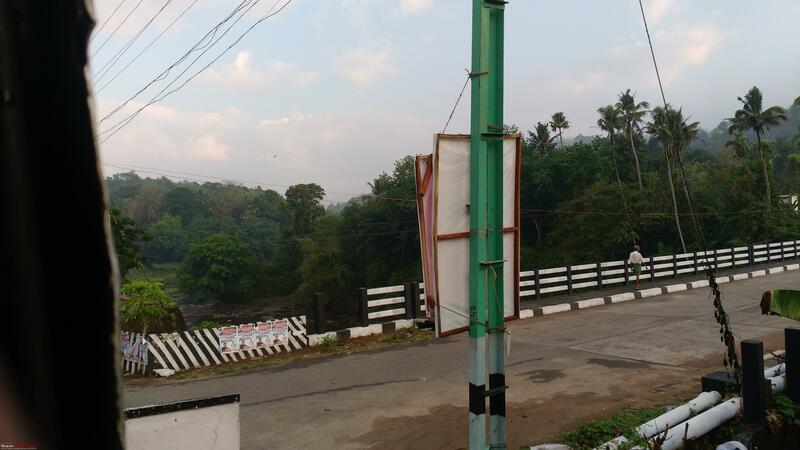 I planned to do stay overnight at Kumily and do the trip from there in the morning towards Pathanamthitta since in February the Kumily depot bus was operating while the Patyhanamthitta depot bus was reportedly having cancellations. Three days before the planned trip in March, I called up the Kumily KSRTC depot only to be informed that the bus did not operate that day despite being a Sunday and the person who answered the phone at the depot was evasive whether the service will be operated in the coming days. Around the same time "binaiks" messaged saying that the Pathanmthitta depot service is now operating regularly. A call to the Pathanamthitta depot confirmed the same and the staff at the depot on the phone was more or less certain that unless something unforeseen happens the bus will operate on the day I was scheduled to take the trip. 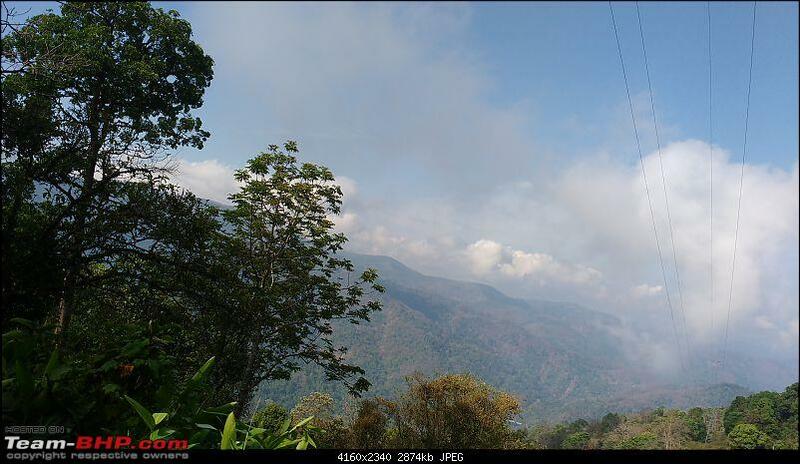 So it was decided I will do the trip from Pathanamthitta, a town I was visiting for the first time. Since I had to stay overnight, I decided to reach there before noon the previous day, locate a good place to stay and spend the afternoon visiting a friend in the neighboring town of Punalur. I like early morning starts and the original plan was to reach Angamaly KSRTC bus station around 5 AM, get a bus to Kottayam or Thiruvalla and then make my way to Pathanamthitta. However soon after I reached the bus station, a Kerala SRTC (KSRTC) express service operating the Mangalore Ernakulam service pulled in. The bus was brand new and hence decided to revise my original route plan and go via Ernakulam. The bus reached Ernakulam bus station at 0545. There were two buses to Pathanamthiita already parked, one via Thiruvalla, Kozhenchery and the other via Piravam. 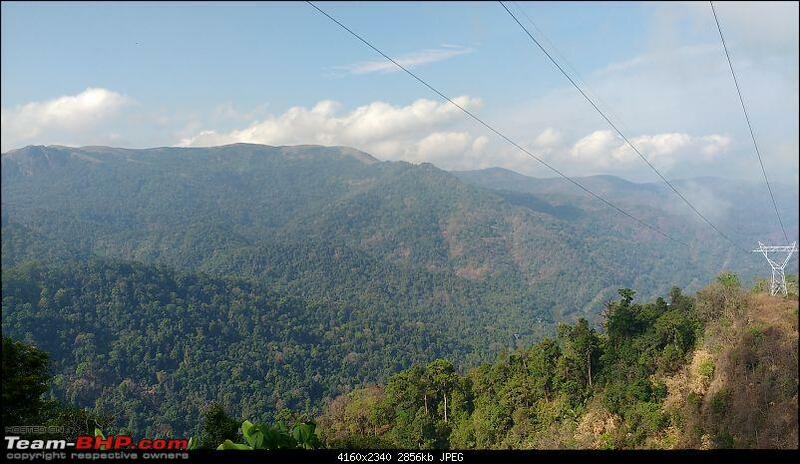 Koothatukulam, Pala Kanjirapally and Erumely.I had not travelled on the latter route so decided on the second option. The conductor informed a scheduled arrival at Pathanamthitta at 1030. Reached Pathanamthitta around 11 AM and checked at the KSRTC enquiry counter whether the bus to Kumily via Gavi will operate and the answer was affirmative. Thus reassured, located a good place to stay nearby, made the planned visit to Punalur and got back around 8 PM. Again queried about the status of the bus for tomorrow and was told nothing to worry. Was informed that the bus will pull into the bay around 0620 for a 0630 departure. Reached the bus station by 0530 in the morning and reconfirmed that there was no last minute cancellation. Waited near bay no 5 where I was told that the bus would park. However even at 0625 there was no sign of the bus. Back to the inquiry counter and was told that the bus will pull in any time soon. At around 6.30 AM there was an announcement that the bus has arrived but was at a different bay. Scrambled across and was relieved to find that there were only a few passengers boarding. At 0635, the bus started off. The conductor came around and on hearing that i wanted to Kumily, advised that the bus takes the much longer Gavi route. I replied that I had reached the previous day to travel on this particular bus. He just smiled and issued the ticket for Rs 137. There were about 20 passengers when we started, three were travelling all the way to Kumily, a couple of small groups of about 7 people to Gavi and the rest short distance passengers. 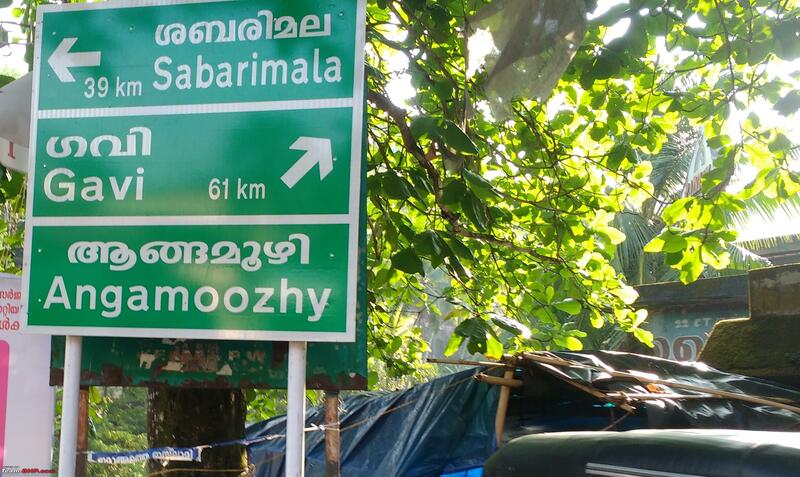 The bus took the route to Ranni, turned off at Malayalappuzha and followed the main Sabarimala route till shortly after Laha, where we took the turn off to Chittar,Seethatode, Angamoozhi and Moozhiyar. I realised suddenly that the bus I was travelling was a Kumily depot bus although I had a ticket issued by the Pathanamthitta depot. Checked with the friendly, conductor Mr Ramesh who informed that a bus of Kumily depot had broken down a few days back at Pathanamthitta , and another bus of the Pathanamthitta depot had similarly broken down around the same time at Kumily. The buses had since been repaired and the day I was travelling, the Kumily bus was being used as a delivery trip and the crew would bring their own depot bus back from Kumily. The bus was fairly crowded till Seethathode, and around 0815 the bus reached Anagamoozhy where we stopped for breakfast at a small but clean hotel. Only around 15 of us were left in the bus, and we started off again around 0830. The conductor warned everyone to be careful about overhanging tree branches on the road side as the forest road really starts from Anagamoozhy. Now I will let the pictures do the talking. Enroute pictures. 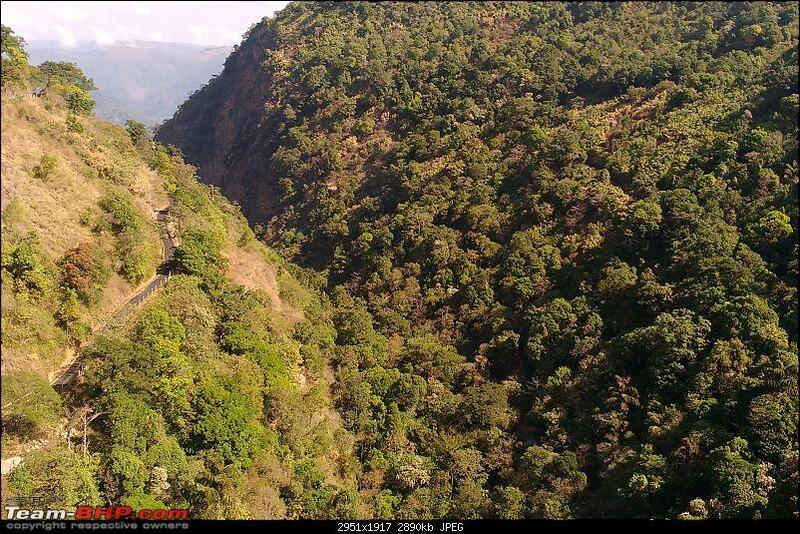 This one is taken near Vadasserikkara , much before the forest road starts. The others are all taken inside the forest en-route Moozhiyar and Kakki dams. Last edited by Rehaan : 14th March 2017 at 15:33. Around 0930 we reached Moozhiyar , the site of a major hydro electric project. We continued and around 10 AM we stopped for a break upstream near the Kakki reservoir. The bus stops for 10 minutes here. 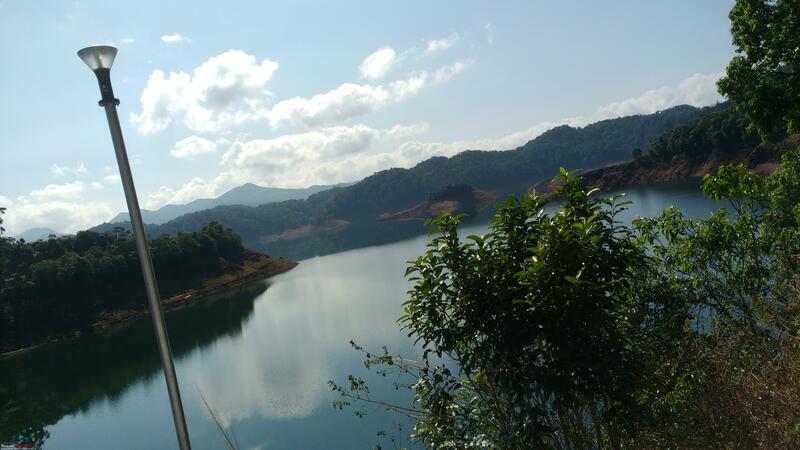 We started off from Kakki after a 10 minute break and soon reached Aanathodu dam where the real highlight of the trip occurred. As we crossing the bridge, we could see a herd of around 20 elephants crossing the river at a distance. The crew obligingly stopped the bus for the photo opportunity. The picture credits for the last two photos are to Mr Ramesh, the conductor of the bus who had a phone with a much better camera and who kindly shared the same with me. The same is reproduced with his kind permission. We reached Gavi around 1115 where the two groups of day trippers got off. They were told to be back in 2 1/2 hours to catch the return bus. 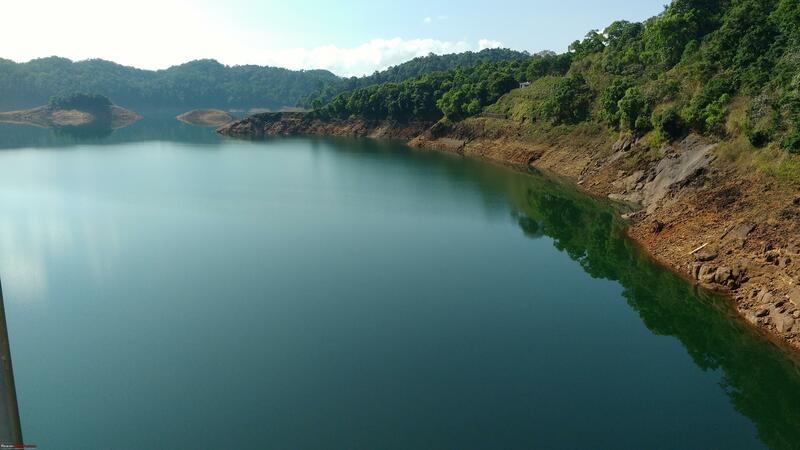 They were also informed that if they miss the bus there will not be any other transport available for the day as the morning service from Kumily which reaches back Gavi in the evening around 6 PM was again canceled. 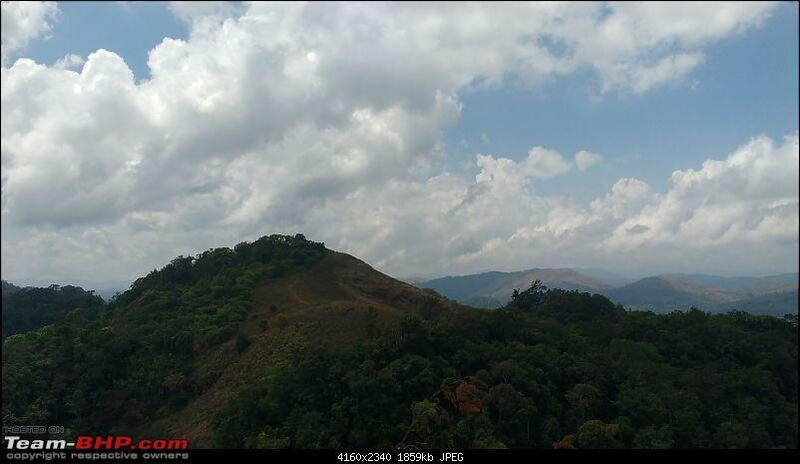 The bus finally exited the forest route near Vandiperiyar on the Kottayam Kumily route and reached Kumily bus station at 1245 PM. It was a fascinating trip, one which I will remember for a long time. Before I conclude, a word of appreciation about the staff of the KSRTC depot at Pathanamthitta is in order. In addition to the driver Mr Jayaraj and conductor Mr Ramesh of the bus who were both friendly and at the same professional, every staff who I interacted over the phone or in person at the KSRTC Pathanamthitta bus station were unfailingly courteous and polite in their interactions. Full credit to all of them. With the current financial crunch the corporation is facing, this service runs a risk of being discontinued if more people do not patronise the trip as end to end passengers (Pathanamthitta to Gavi or beyond to Kumily) are few except on weekends.There are short distance passengers but apparently these alone are not enough to make the service viable. If you are doing the trip it is a preferable that you do the trip on a week day as the buses do get crowded on weekends and the seating capacity is limited. Cross checking with the KSRTC depot at Pathanamthitta the evening before is a must. Seats cannot be reserved in advance. The roads in the forest section are rough. There is limited or no mobile connectivity in the stretch between Moozhiyar and Gavi. Please purchase any snacks or water you need at Angamoozhy which is the breakfast stop and from where the forest road starts in proper. Last edited by Rehaan : 14th March 2017 at 15:34. Mod note: Thread moved to Travelogues. Thanks for sharing. Thank you so much for the information. I don't think many will fancy having a trip to Gavi in a KSRTC. But I love the idea and it is extremely VFM. I am surely going to give it a go If the service is still around. With the current state of KSRTC, it's highly unlikely, though. The dialogue from the film 'Jacobinte swargaragyam' keep coming to my head. " you are not a malayalee unless you have travelled in a KSRTC". All your public transport trips are very inspiring, and thanks for bringing out such a gem. Have heard about this bus route from my friend who did it with his family about a year back. No photos from inside Gavi? Are there any stops inside the forest area? 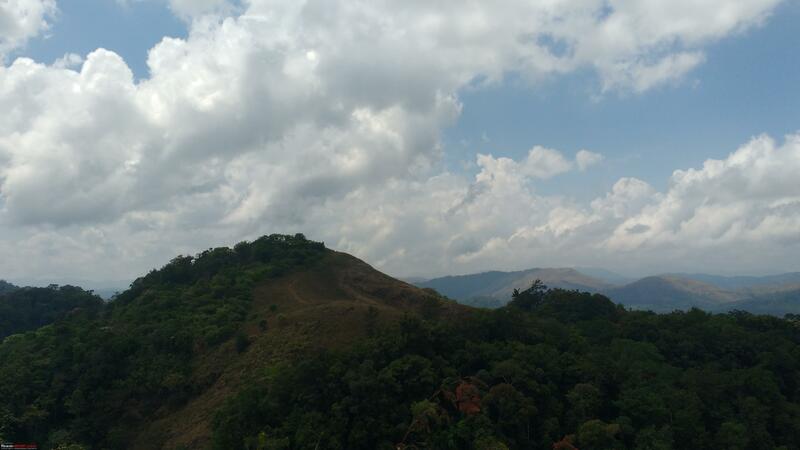 I did not stop over in Gavi as I did not want to come back to Pathanamthitta. Hence just the one last phototgraph is of the Gavi area as the bus just stopped to drop off the passengers. The bus was also quite full around Gavi so not easy to click photographs. 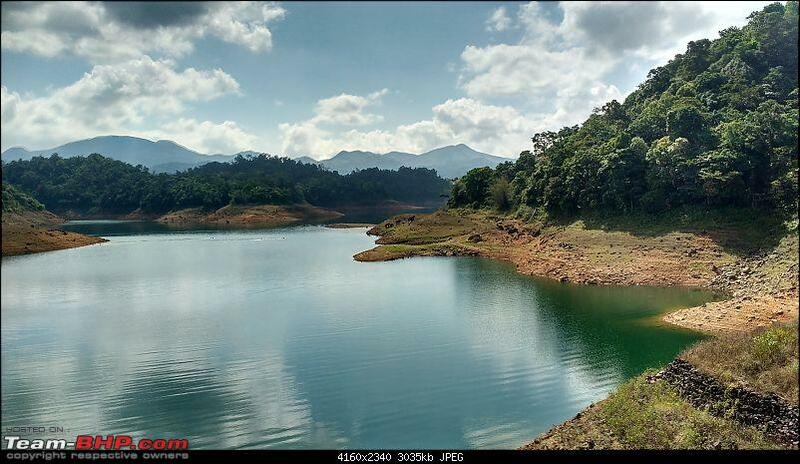 For those coming back to Pathanamthitta which is what most people do, you get about three hours in Gavi . However if you are planning to use the bus to do a day trip in Gavi, better do the trip from Kumily end if the Kumily depot bus is operating. This will give you about 10 hours there. There is a stop over for the bus inside the forest area at the Kakki reservoir which is uptream of Moozhiyar. This is a 10 -15 minute break. 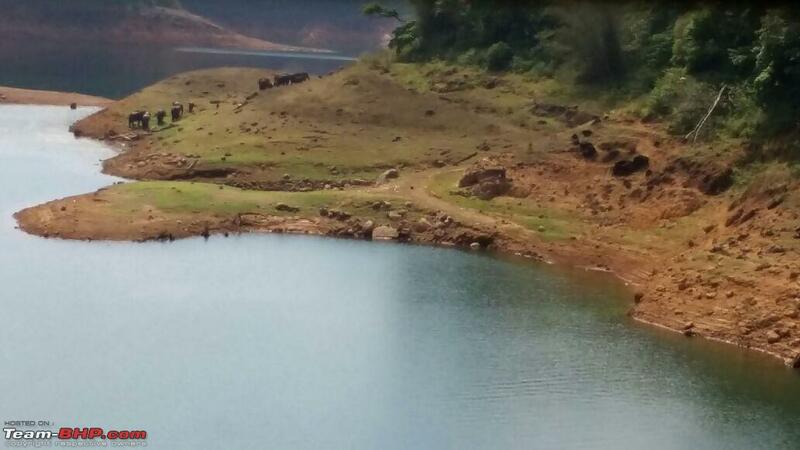 Soon after that was Anathodu where we saw the elephants crossing the river and the crew stopped the bus there also. Most of the photographs taken are at Kakki and Anathodu. I really hope this service does not get scrapped. For that you need more people to travel year around. That for me is the main objective in publishing these public transport accounts in T-BHP. 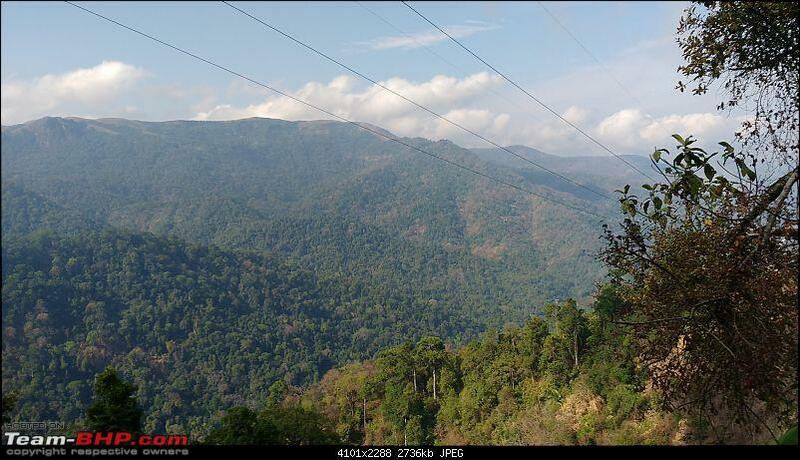 I travelled back from Kumily by another scenic route . Kumily-Kattapana -Cheruthoni-Chelachuvadu-Neiyamangalam-Kothamangalam . 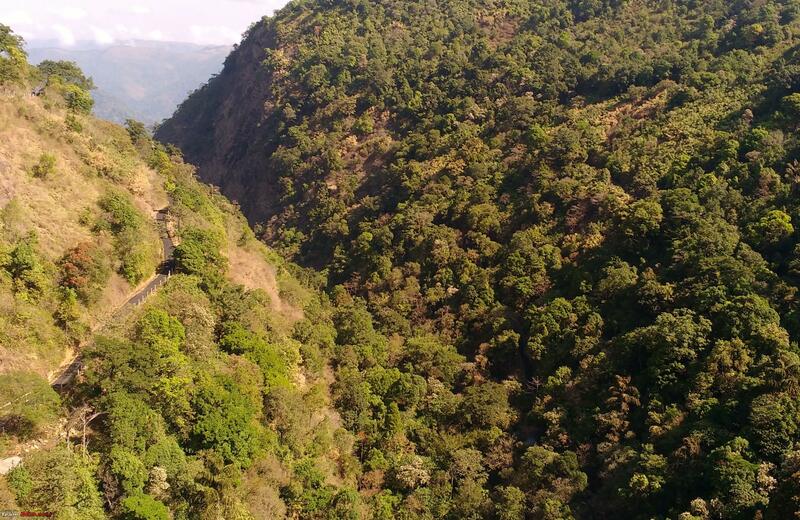 The stretch between Chelachuvadu to Neriyamangalam again takes you through some lovely forest roads bordering the Lower Periyar hydro electric project. I seemed to have covered a lot of hydro electric projects in one single day but it was a great journey. Last edited by TKMCE : 15th March 2017 at 16:27. 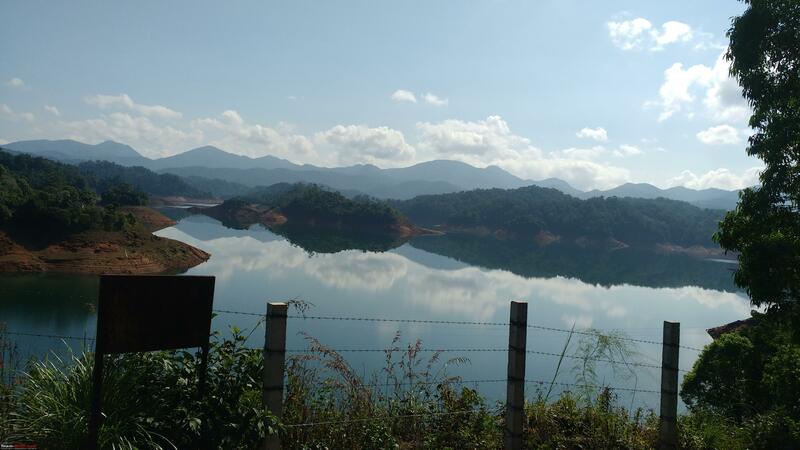 Fascinating writeup TKMCE.thank you for sharing.from my earlier experiences with KSRTC,the staff on the hill routes are almost always well behaved professional decent and friendly.Maybe because they have a much more relaxed work.schedule as opposed to the staff who do the day runs on the plains navigating crazy dust heat and traffic. Nice travelogue. I hope the service will not get stopped and will be there when I get an opportunity to do it. Do they allow cars inside Gavi? Waiting for the remaining part. By the way, I also studied in TKMCE, Kollam. TKMCE, I have been thinking of taking this bus ride for a long time, preferably post monsoons. Hence, a very useful post for me although I would have liked a few more pictures. 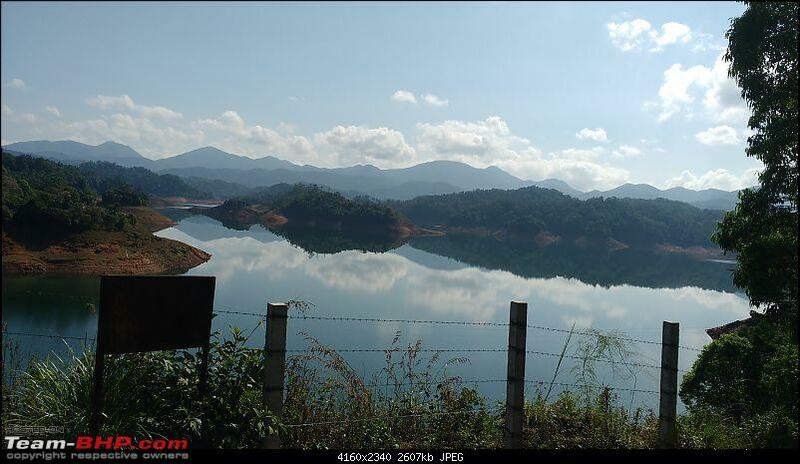 How are the stay options in Pathanamthitta? Are there any good accommodations suitable for stay with families? Can you share us the contact nos. of Pathanamthitta Bus Station. TKMCE.. After getting down at Gavi, what are the things we can do or places to visit in the 3 hours available as you said. Thank you all for your comments. I did not get down at Gavi as I had to return back to Angamaly. The pairing bus of the Kumily depot was cancelled during the time I did the trip, so continued all the way in the same bus. Hence I do not have much information about the Gavi attractions. Apologies regarding the photographs, I just had a mid range mobile . 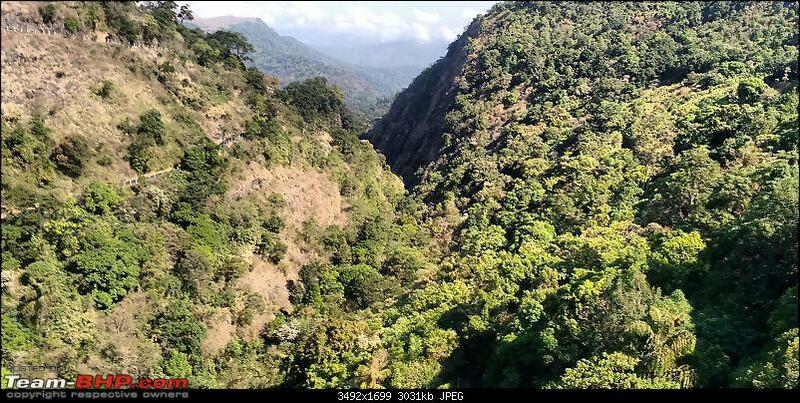 Also because of the tree branches which overhang from both sides of the road for most of the forest section, it is very difficult to take photos from inside the bus, particularly using profesional equipment as there is a real threat of physical injury and you have to be alert all the time. It is a very narrow road inside the forest. 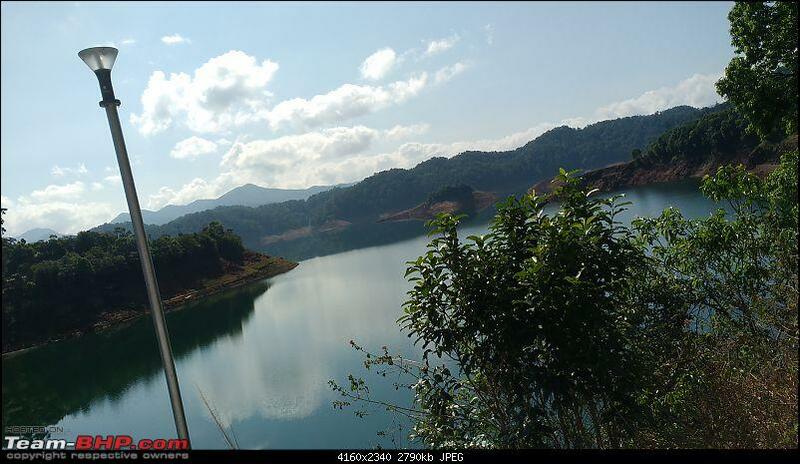 However the crew are friendly and the stop at Kakki dam gives you some photo opprtunities. 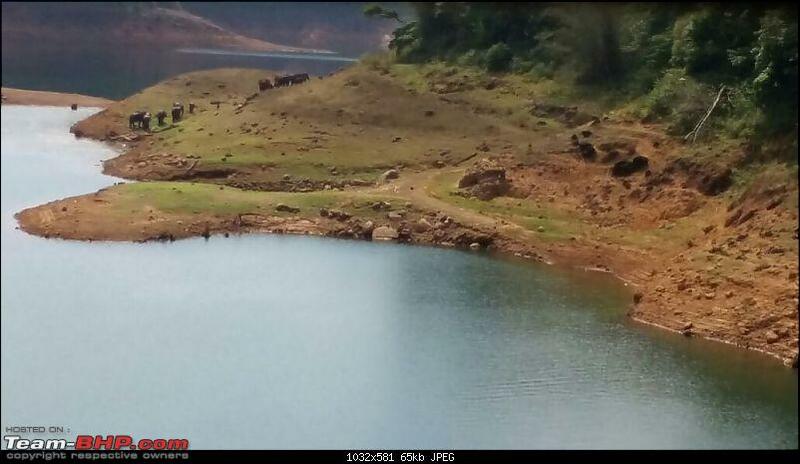 And when we sighted those elephants crossing the river near Aanathodu, the crew were happy enough to stop the bus for a couple of minutes for people to take photos. I stayed at a hotel in the Aban building which is just down the road from the KSRTC bus station at Pathanamthitta . A "Deluxe lodge" would be a better description , the lodge occupies only a part of the complex. It is secure enough and fairly clean with Air Condtioned rooms available, but this place is definitely not for families. There are a couple of good restaurants nearby and a super market is there in the same complex. The conductor was suggesting Hotel Hills Park at Kumbazha near Pathanmthitta as a better (and more expensive) option for families although it is some distance away from the bus station. The KSRTC bus station contact numbers are (0468) 2229213 and (0468) 2222366. These days KSRTC staff are generally very helpful answering telephone queries also . Please check one week before and also the day before with the Pathanmthitta bus station to reconfirm the bus is running. Also have a back up plan ready. There can always be a last minute cancellation. In such a case, what I would suggest is take a bus to Kollam and do a backwater cruise. The Kollam Alappuzha government run "tourist boat service" starts at 1030 AM on an 8 hour trip or there are quite a few very cheap local ferry services which take around 1 to 2 hours. Keep in mind that the Alappuzha boat does not run during June, July and most of August. The local goverrnment ferries run year around. I had a two hour "cruise" for around 12 rupees. Again the crew at the boat station at Kollam, which is right next to the Kollam KSRTC bus station are very helpful. The conductor was suggesting Hotel Hills Park at Kumbazha near Pathanmthitta as a better (and more expensive) option for families although it is some distance away from the bus station. Hills Park is a fairly OK hotel. 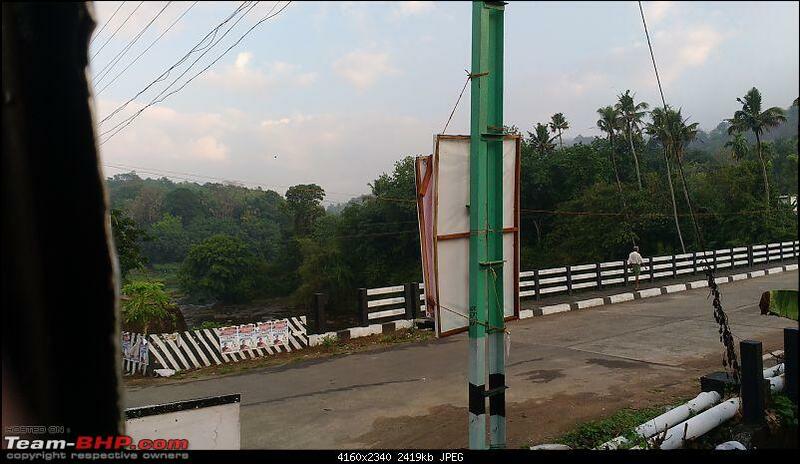 It is just 2kms from the bus station, on the Thiruvalla-Kumbazha road. You can easily get a bus or an auto in the morning to reach the bus station. The original KSRTC bus station at Pathanamthitta is under renovation and the buses start from a part of the new private (municipal) bus station. Even though I'm from Pathanamthitta (3kms from town, towards Ranni) I've never taken this bus, but after reading lot of travelogues, I feel like doing it once. As a kid and teenager, I've traveled to Angamoozhy, Chittar, Seethathode etc. but at that time, it never felt special. You are right, the buses now start from the private bus station. KSRTC has one separate section to itself. The real interesting section starts after Angamoozhy which is the breakfast stop. 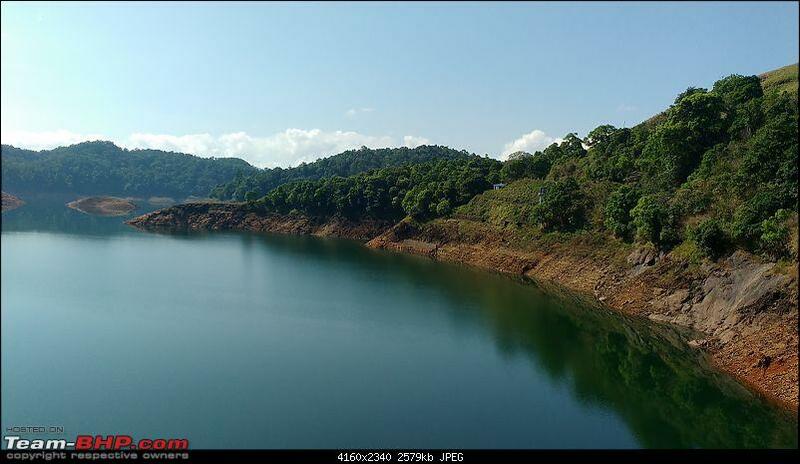 The road finally meets up with the Kotayam Kumily road a few kilometres before Vandiperiyar. Chittar, Seethathode. 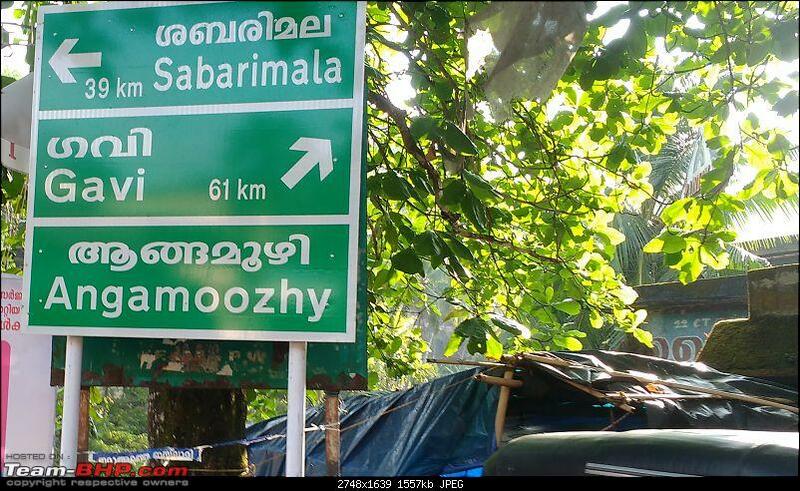 Angamoozhy were familiar names for me too as a kid although I had never passed through those towns before. For a long time I used to take the first bus of the day to Punalur (where I had relatives) from Trivandrum which was the 0500 Trivandrum Moozhiyar FP bus via Punalur Pathanmathitta, Chiitar, Seethathode and Angamoozhy. But this is the first time I have travelled through these towns. Last edited by TKMCE : 18th May 2017 at 15:50.